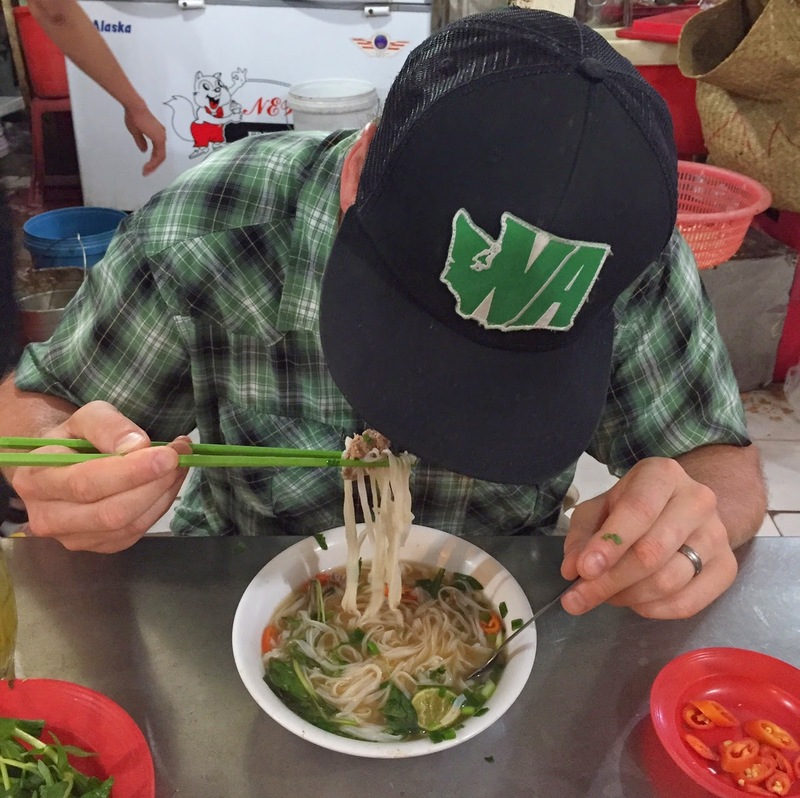 Anders and I just returned from two weeks in Viet Nam where we basically did nothing but eat from the time we landed in the north until we flew out of the south. We worked our way through the country seeking out every back alley street cart we had heard or read about. This country really is as delicious and filling as you've heard. It's probably the best fed we have ever been on vacation. My beautiful SLR camera broke pretty early in the trip. I need to check it out and see what picture I can salvage from it. In the meantime, here are a bunch of cell phone picture I took of our eating escapades. 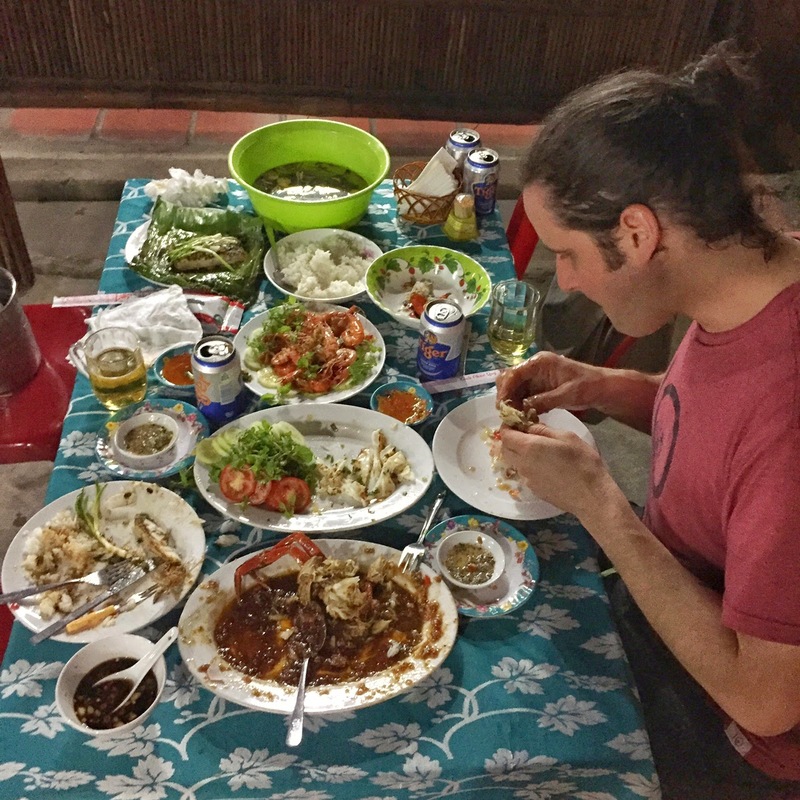 I promise we did do more than actually eat, but since the food was a main reason we chose to come to Vietnam, I decided that the food deserved it's own post. Regular shots to come soon! Our first meal in Vietnam was Bun Cha, which is basically hamburger/sausage and noodles in a broth. Close up of Anders' Bun Cha fully doctored up to his liking. We drank a lot of Cafe Sua Da, which is coffee with condensed milk. This was our favorite coffee shop called Cong Caphe. 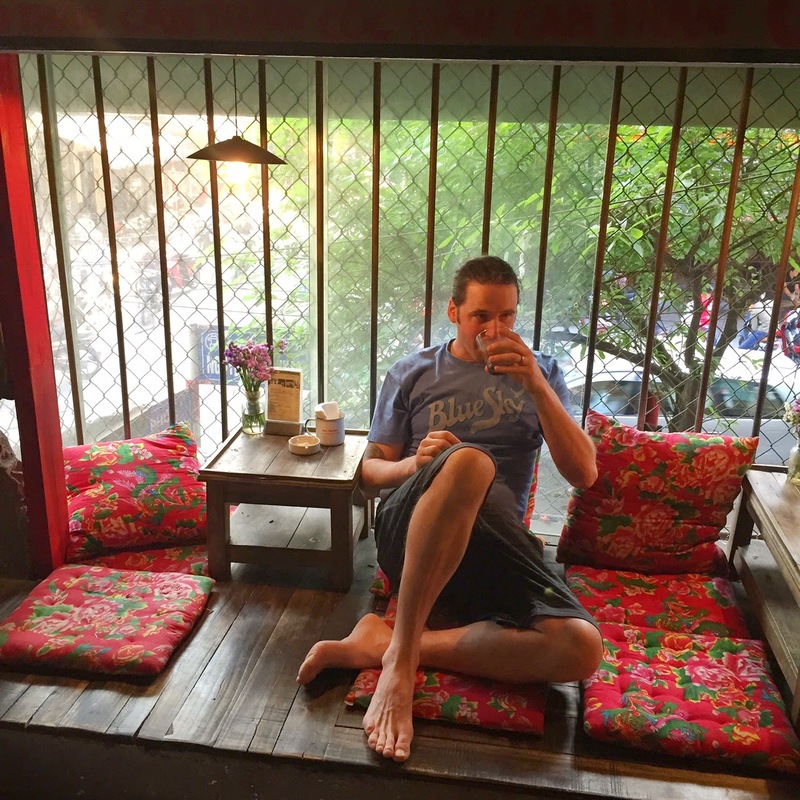 It had cushions for lounging and windows for watching the craziness of the city. I can't remember the Vietnamese name for this dish, but it was sticky rice and pork belly and apparently the restaurant has a house Cho (dog). 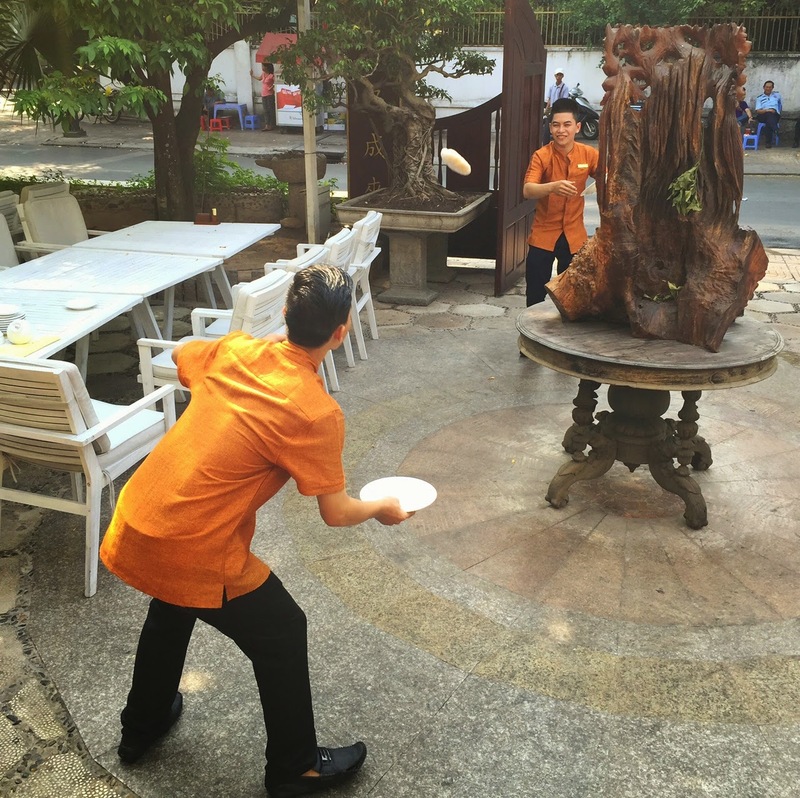 No restaurant in Vietnam would ever meet the USA's health code. 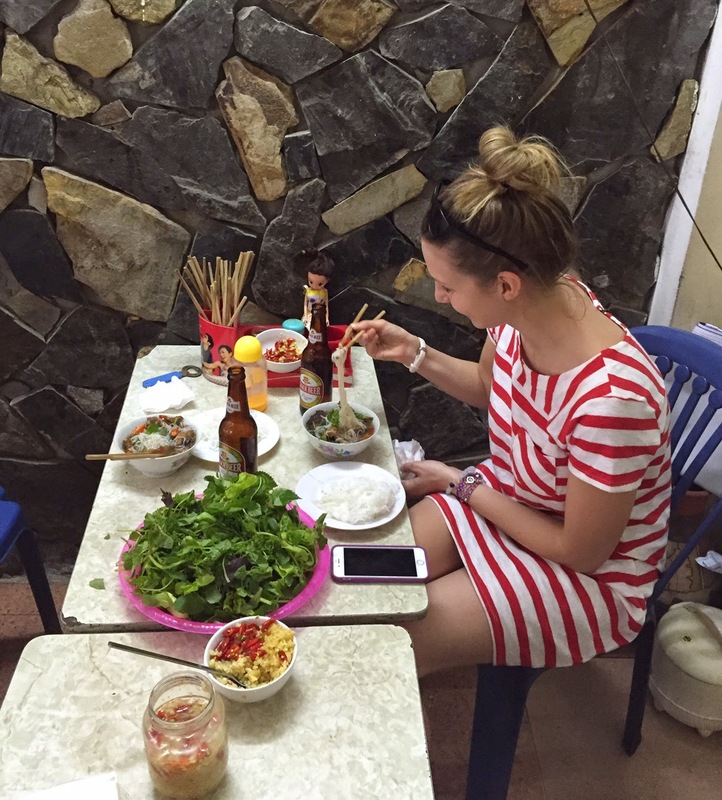 The only way to eat street food in Vietnam is on a tiny plastic stool. They are as uncomfortable as they look. We got a tip off about the best Pho in Hanoi at a place called Pho Thin. We were the only non-locals in the whole restaurant. It was Anders' favorite Pho we ate. 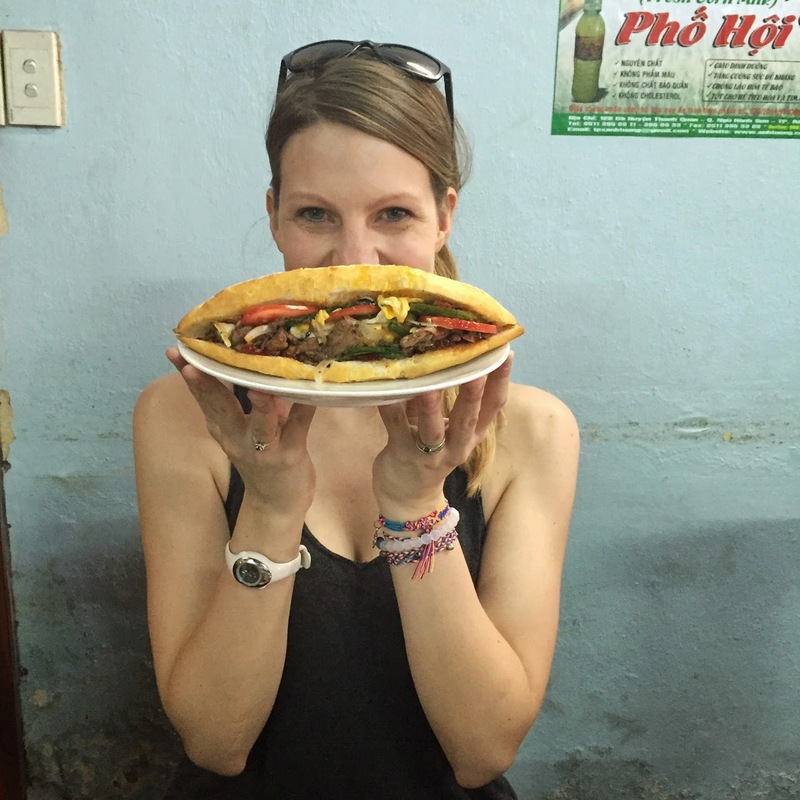 We ate a lot of Banh Mi on this trip. Delicious baguette sandwiches filled with all sorts of goodness. Mine had beef and egg while Anders had pate. Anthony Bourdain led us to this seafood joint called Thi Nhan. We ordered the tamarind crab (and a whole lot else). Despite being the only customers in the restaurant, it was one of the best meals we ate the whole trip. During a layover in Sai Gon, we left the airport and headed to Com Nieu Sai Gon, another Anthony Bourdain recommended spot. They make this dish where they bake rice in a clay pot. When it's done they break the clay pot open in the restaurant and throw the hot rice to another worker. So fun! Our favorite beach side bar on Phu Quoc island called Rory's. The food is catered to Westerners and just okay, but the vibe and drinks are where it's at. All this eating had to be washed down with drinks! More Pho. 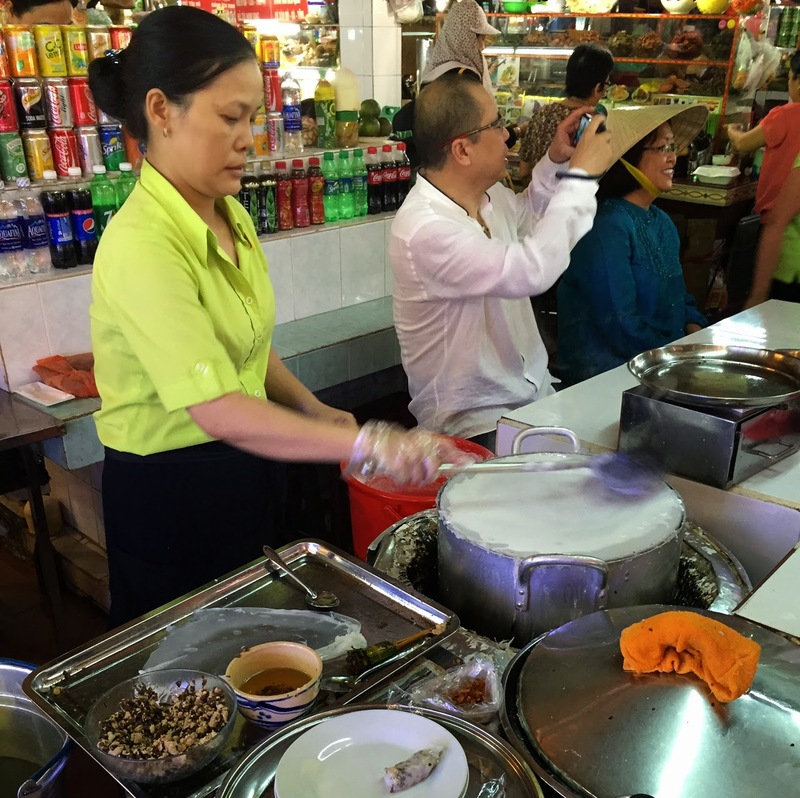 This time in Sai Gon, where the broth is a bit sweeter than up north. 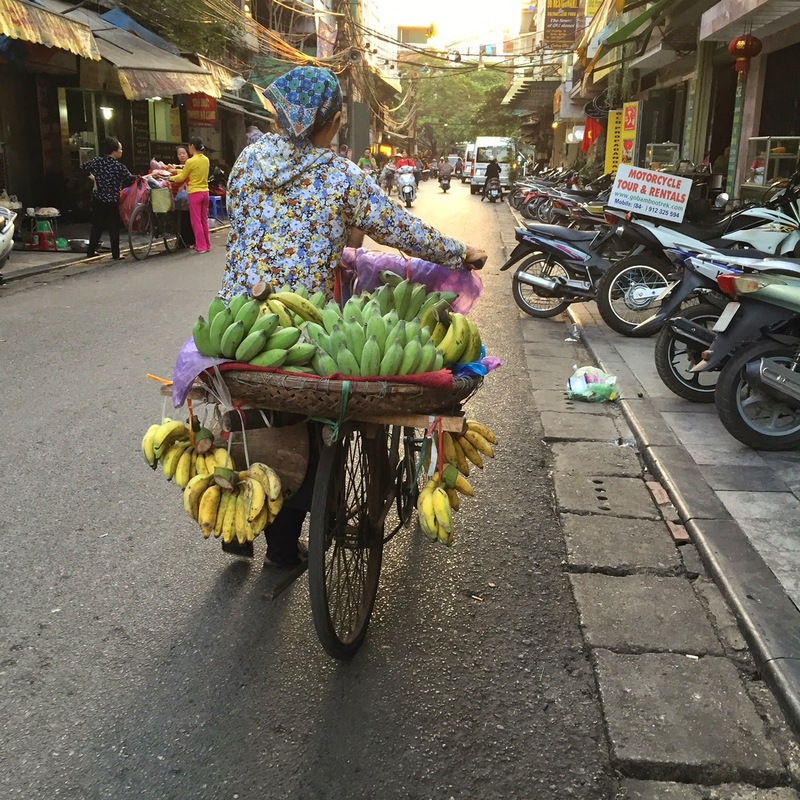 We tracked down Miss Lan in the Ben Thanh market. She is the only vendor who makes Banh Cuon, a rice paper "ravioli" of sorts stuffed with pork and mushrooms. We also got a tip off about a street seller making a bahn mi with bbq sauce and grilled sausages, which is very non-traditional. We found her down a dark alley with an impressive line of customers. It was spicy but amazing! Anders with his "meatball sub" in the dark alley. Back with non-eating shots soon!